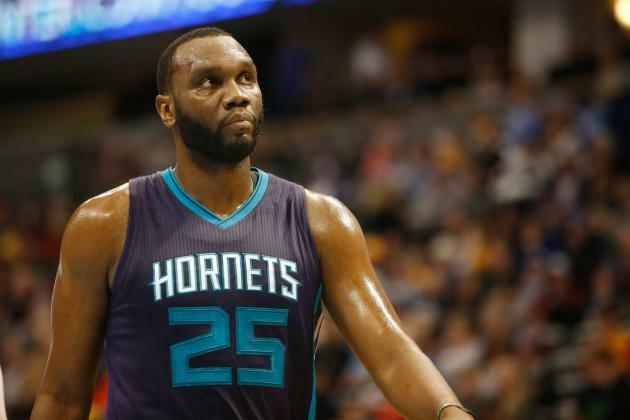 Knicks Free Agency Guide: Who Will the Knicks Sign? 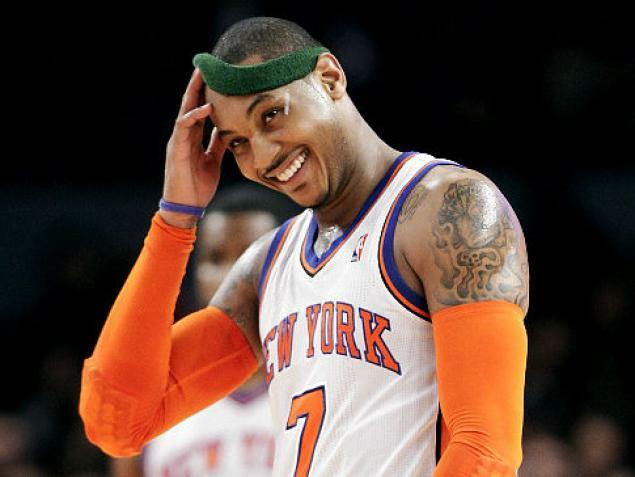 The Knicks have roughly $27 Million in cap space. Their roster includes Carmelo Anthony, Jose Calderon, Kristaps Porzingis, Jerian Grant, Langston Galloway, and Cleanthony Early. They will almost certainly renounce all of their Restricted Free Agents— Alexely Shved would cost them $6M if they gave him a qualifying offer. They could trade Calderon’s $7.5 Salary, or, if the don’t find a taker, waive him using the “stretch provision” and only pay him $3M, which would put them are about $31.5 in cap space. It appears unlikely that they will do this, however. They could also add Thanasis Antetokounmpo for somewhere around $500 K.
So, who will Phil Jackson chase? I broke the FAs down into tiers. I am updating this post, moving guys to the bottom of the article as they sign with other teams. 1. Elite Targets: These are guys you can build your team around. – Marc Gasol: Gasol is the dream acquisition for most teams, especially the Knicks. He would be a perfect fit in the Triangle offense (thanks in large part to his unselfish passing) and can anchor a team on defense. He might be the best center in the league. He will ask for the max and he will deservedly get it. The main issue? He’s almost certainly staying in Memphis. 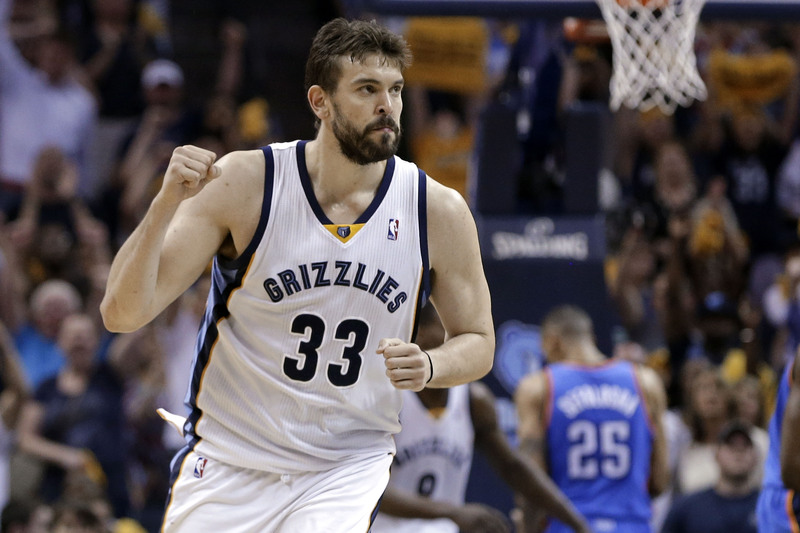 UPDATE: Gasol has signed with Memphis. 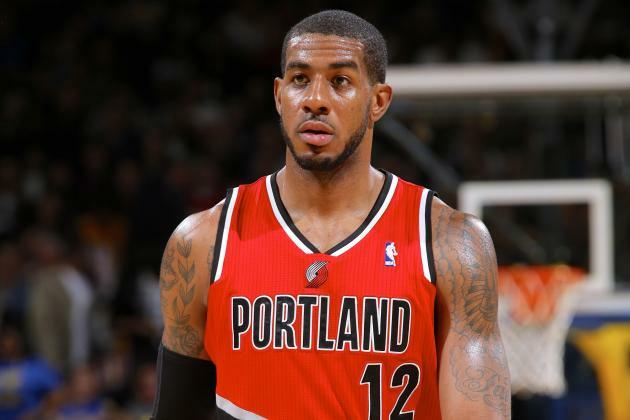 – LaMarcus Aldridge: Aldridge is another superstar who will ask for and get the max. He’s a bit worse than Gasol overall, but he is a better scorer, and would be another great fit in the Triangle. Unlike Gasol, Aldridge is likely to leave his current team. The Knicks will meet with Aldridge in Los Angeles— they will be the last team to meet with the soon-to-be-30-year-old and his entourage, after the Lakers, Rockets, Spurs, Suns, Mavericks, and Raptors. The Knicks will almost certainly hit Aldridge with the full-on-press reserved for superstars, but they appear to be a long shot, with the Spurs and Lakers apparently the favorites to land him. If the Knicks can sway Aldridge, it will be a massive success for Phil Jackson and his crew. 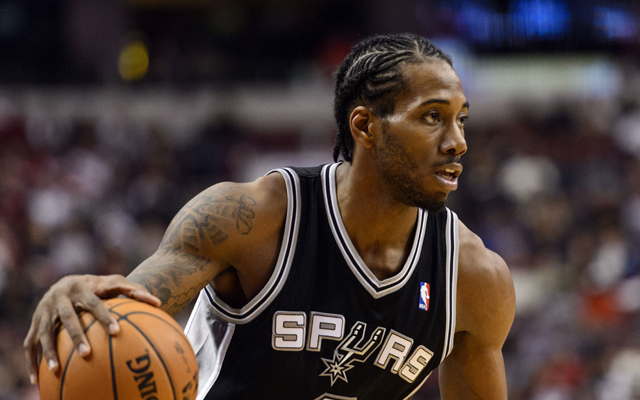 Update: Aldridge has cancelled his meeting with the Knicks and signed with the Spurs. 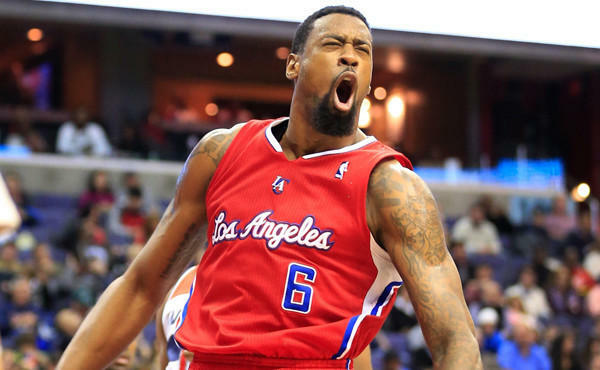 – DeAndre Jordan: The Knicks reportedly like Jordan, and it appears that they will get a meeting with him, although they aren’t on the top of his list. Jordan is an elite rebounder and a terrific rim-protector. On offense, he is a threat to finish on a lob play and is serviceable in the pick-and-roll, but mostly fits the mold of a young Tyson Chandler. The biggest negative? He can’t shoot free throws to save his life. Jordan should get a very nice deal, possibly hitting the max. 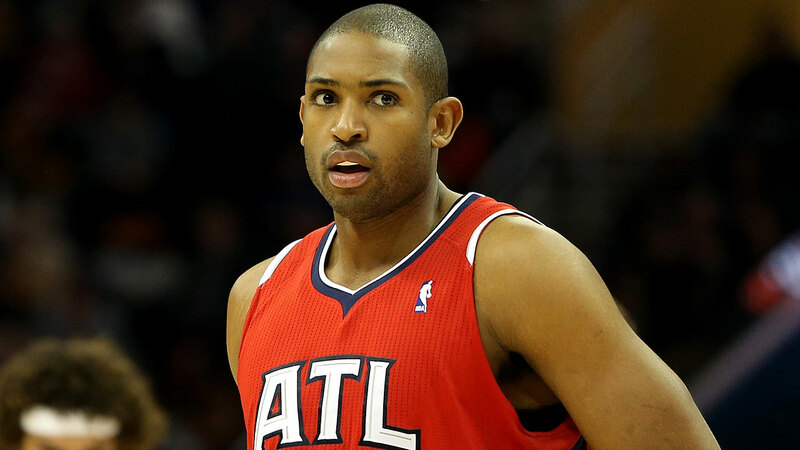 He’s not out of the realm of possibility for the Knicks, but he’s not nearly as likely an acquisition as Monroe. 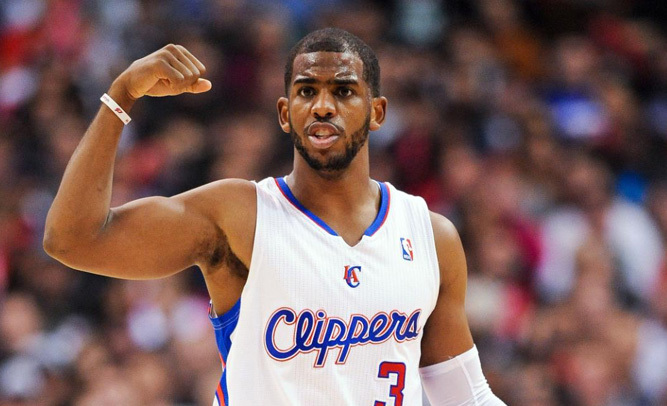 Update: Jordan has signed with the Clippers. – Rajon Rondo: Rondo’s value has plummeted recently, but if he’s on his game, he’s one of the best distributors in the league and he’s a plus on defense as well. He can’t shoot the ball, so he’s not an ideal Triangle fit, but if he’s willing to sign for somewhere between $8 and $11 million, he might be an option. Update: Rondo has signed with the Kings. – Wes Matthews: Matthews made a ton of sense for the Knicks before he tore his achilles. Matthews is an elite shooter and a great defender at the SG position, and he reportedly has a chance to be ready for training camp. If he’s willing to settle for somewhere around $8-12 M after his injury, the Knicks will likely pursue him hard. 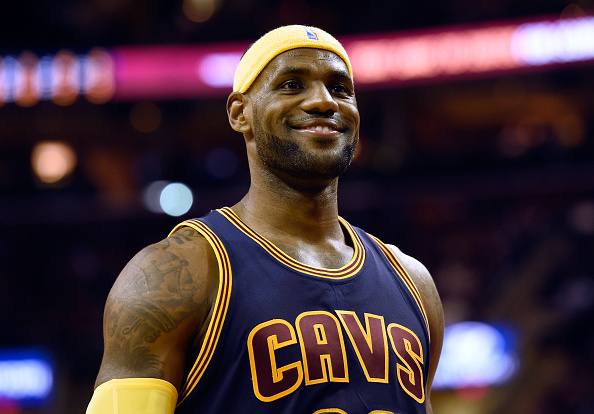 He reportedly wants $15M, which is a bit of an overpay. But not one the Knicks shouldn’t at least consider. Update: Matthews has signed with the Mavericks. 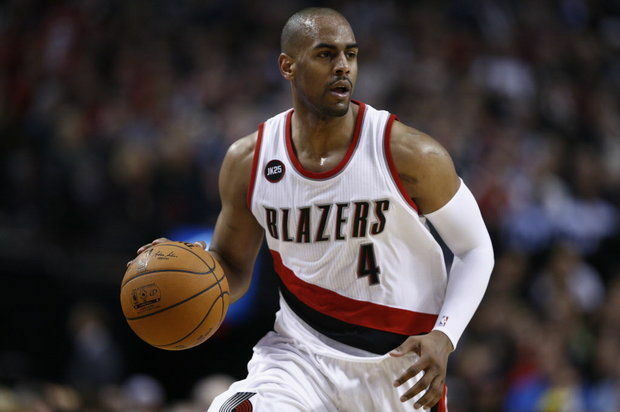 – Arron Afflalo: The Knicks are reportedly the favorites to sign Afflalo. Afflalo is another “3 and D” guy, but he’s been deteriorating lately, and isn’t as impactful on defense as he used to be. According to reports, he might be looking at $12M a year, which seems like a pretty bad overpay. He’d be a nice get for the Knicks at around $7-9M, but no more than that. UPDATE: THE KNICKS HAVE SIGNED AFFLALO. 2 YEARS, $16M TOTAL, PLAYER OPTION FOR YEAR 2. – Tobias Harris: Harris is a solid shooting guard who reportedly had interest in joining the Knicks. But he’s a restricted free agent, and it could take an overpay— maybe as high as $14M, to secure his services. Update: Harris has signed with the Magic. – Robin Lopez: Lopez can anchor a team defensively, but like his twin Brook, the Portland center has had injury woes in the past. He could be a solid get for around $8-12M, but he’s not too reliable. 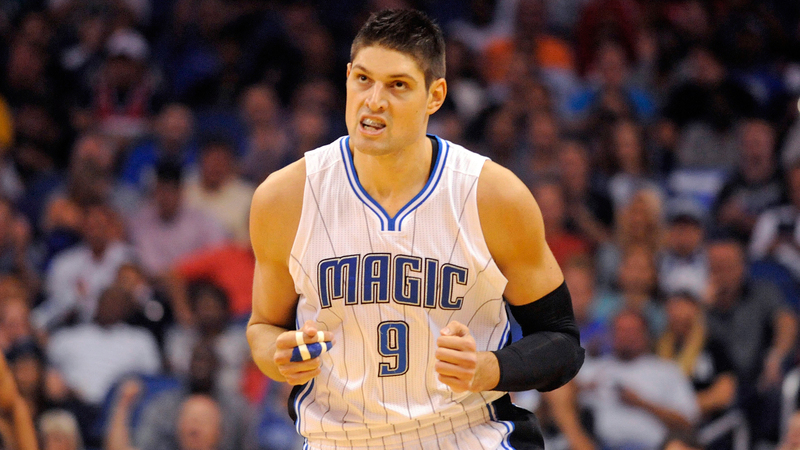 UPDATE: THE KNICKS HAVE SIGNED LOPEZ. – Reggie Jackson: The Knicks like Jackson and have tried to trade for him in the past. But as a restricted free agent, he’ll probably cost somewhere around or over $10M. 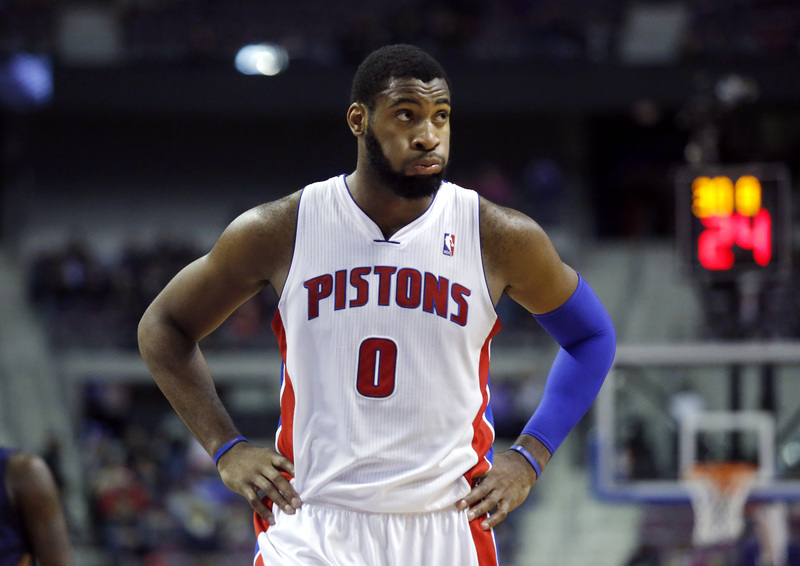 Update: Jackson has signed with the Pistons. 4. Role-Player Targets: These guys might start, but if not, they’d be terrific pieces to have leading the way on your second unit. 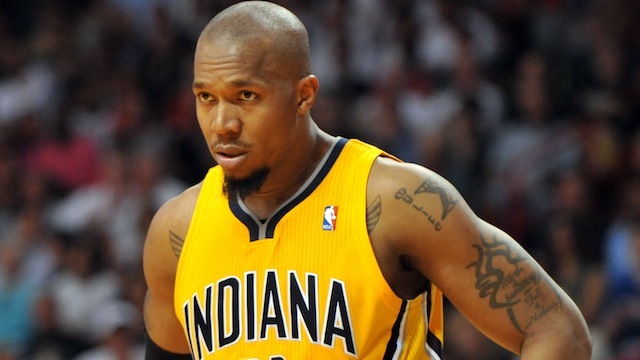 – David West: Recent reports have stated that West is “very likely” to sign with the Knicks, but others have stated that he wants to join a contender. He’s in the twilight of his career, but he’s still a very serviceable player and would be a good mentor for the younger players like Kristaps Porzingis. However, he’ll probably get overpaid, and Phil Jackson should be wary of entering into what could become a regrettable contract. Update: West has stated he does not intend to sign with the Knicks and has signed with the Spurs. 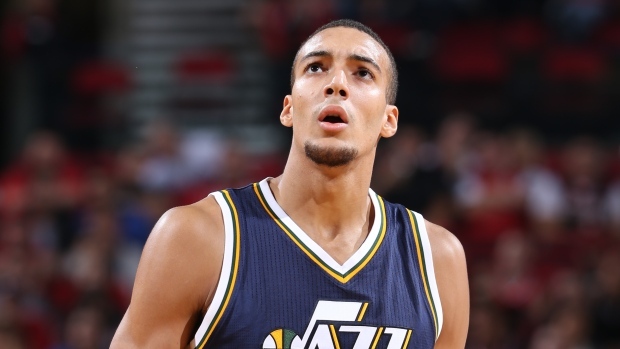 – Gerald Green: Green is uber-athletic and has worked on becoming a more complete player. 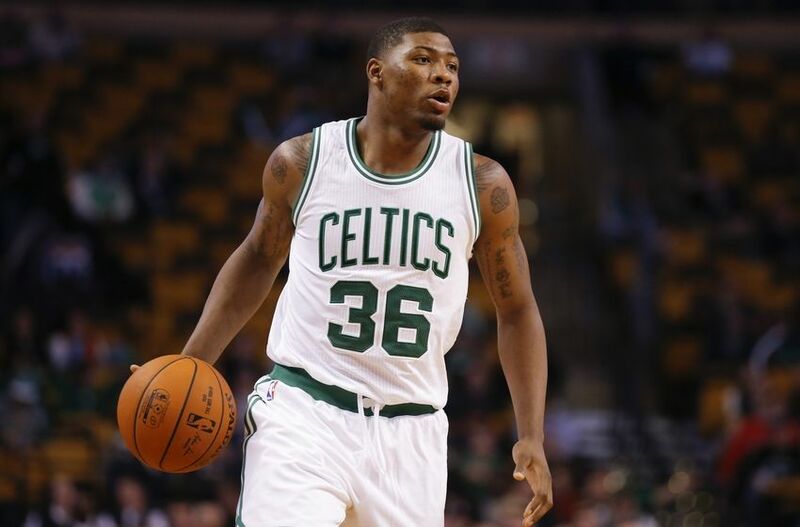 He would bolster the Knicks on the wings, and might be gettable for around $4-6 M. Update: Green has signed with Miami. – Patrick Beverley: Beverley is restricted, but Houston is trying to clear cap room, so they might let him go. 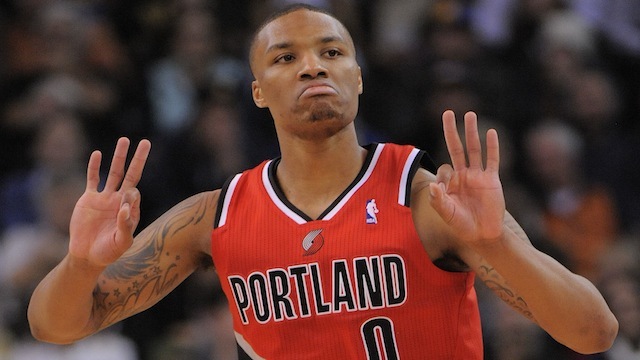 He’s not one of the better offensive point guards in the league, but his defense is very strong. He could cost around $7-8 M though, and that seems like an overpay. The Knicks are interested, but how much? Update: Beverley has signed with Houston. – Lou Williams: The reigning Sixth Man of the Year is on the market, but the Knicks need to focus on their starting lineup first, and they’ll probably spend their money elsewhere. There have been reports that they are interested in Williams, however, so it wouldn’t be unthinkable to see him join on a deal that pays him somewhere around $7 M. Update: Williams has signed with the Lakers. 5. Key Bench Targets: These guys would come off the bench, but could still play a valuable part in a team’s success. 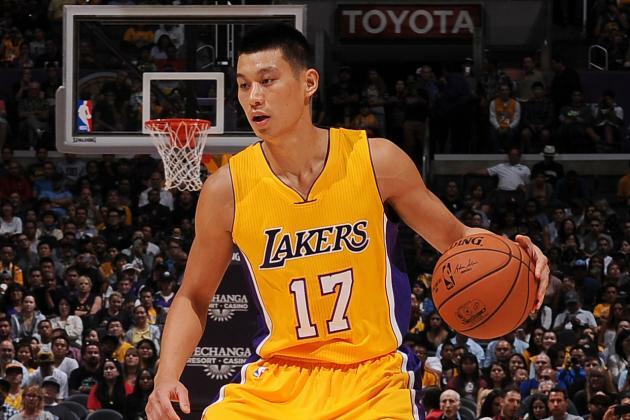 – Jeremy Lin: Linsanity obviously will take a paycut this summer. The Knicks reportedly have some interest, and he might make sense for between $2-5 M. Update: Lin has signed with Charlotte. – Bismack Biyombo: Biyombo is a great rim protector and rebounder with great athleticism, but is absolutely invisible on offense. If the Knicks could get him cheap, he could really help their interior defense, but he’s too one-dimensional to be worth a big contract. Update: Biyombo has signed with Toronto. – Amar’e Stoudemire: He left on good terms, and reportedly has interest in a return. He can help on offense, but that’s all. Makes sense for $3M. Update: Stoudemire has signed with Miami. – Andrea Bargnani: Say what you want about this guy, but he certainly makes sense if the Knicks can lock up his solid mid-range game for the veteran’s minimum. 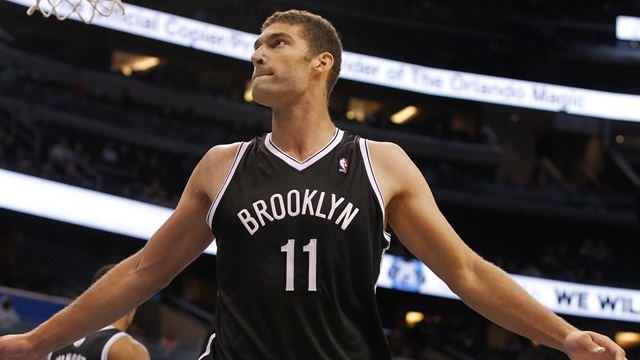 Update: Bargnani has signed with the Nets. – Marco Belinelli: Same as Dunleavy, but will likely cost a bit more. Update: Belinelli has signed with the Kings. – Andre Miller: The Knicks probably need more mobile PGs, but Miller wouldn’t be bad as a third or fourth option. – Jason Smith: The Knicks could bring back Smith, if he signed for the minimum. Update: Smith has signed with Orlando. 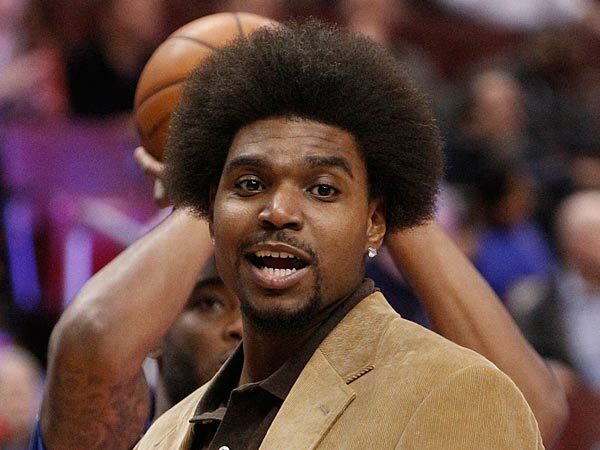 – Andrew Bynum: Bynum has panned out for one guy: Phil Jackson. He might be worth a flier. – Reggie Evans: One of the toughest guys in the league. – Cole Aldrich: Provides size, rebounding, occasionally solid defense, and a rare offensive outburst. Worth the minimum, maybe. 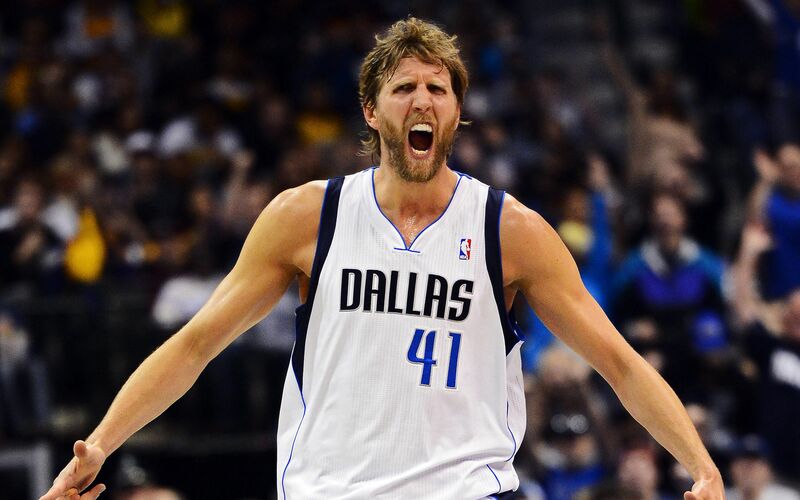 Update: Aldrich has signed with the Clippers. 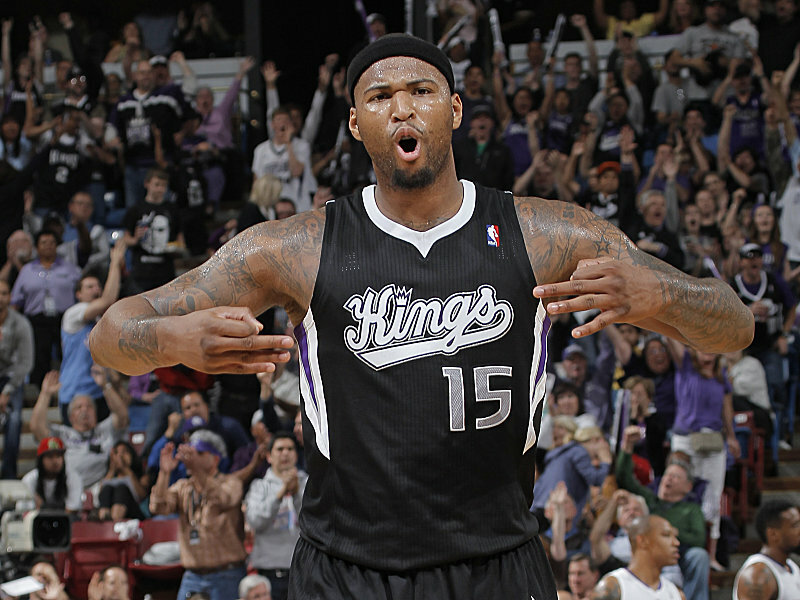 – Quincy Acy: A much younger version of Reggie Evans. Beard included. Update: Acy has signed with the Kings. – Alexey Shved: Worth the minimum, probably nothing more unless the Knicks strike out with their other targets. Update: Shved has signed in Europe, where he is the highest-paid player. 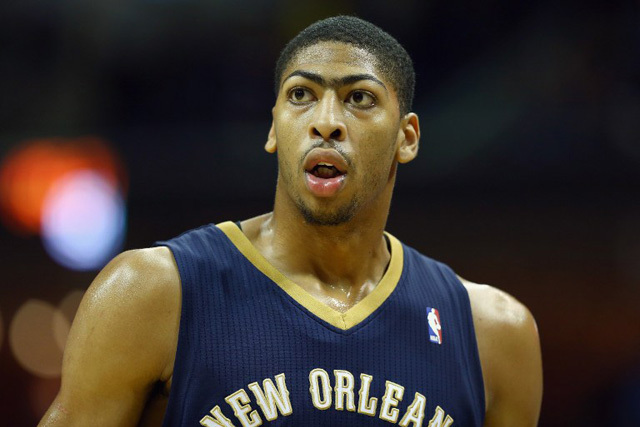 – Chris Copeland: If he’s ready to go when the season starts, he could provide shooting off the bench. – Carlos Boozer: Probably not a good fit, but worth the minimum. – Jimmer Fredette: He can shoot. That appears to be it. But it’s something. Update: Fredette has signed with the Spurs. 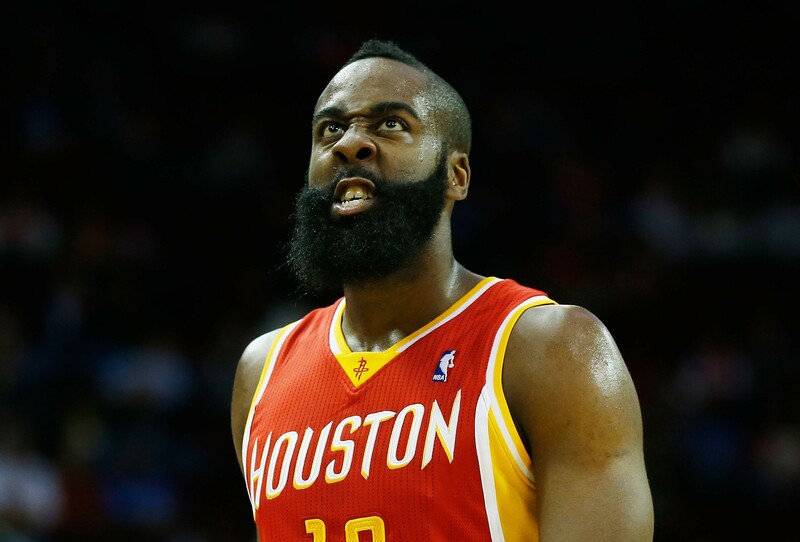 – Marcus Thornton: A much less fun version of Jimmer. – Lance Thomas: Knicks could bring him back for the minimum. UPDATE: THE KNICKS HAVE SIGNED THOMAS. – Lou Amundson: Brings hustle, veteran leadership, defense and intangibles. Not much skill, though. UPDATE: THE KNICKS HAVE SIGNED AMUNDSON. 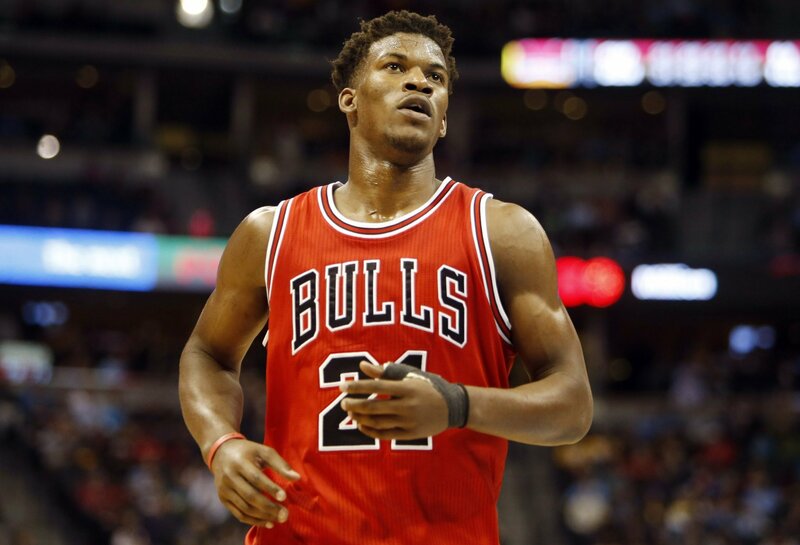 – Jimmy Butler: Butler is one of the best young players in the league, but he is a restricted free agent. The Knicks might go out there and hand him an offer sheet for a max contract, but Chicago will likely match any offer. Update: Butler has signed with the Bulls. 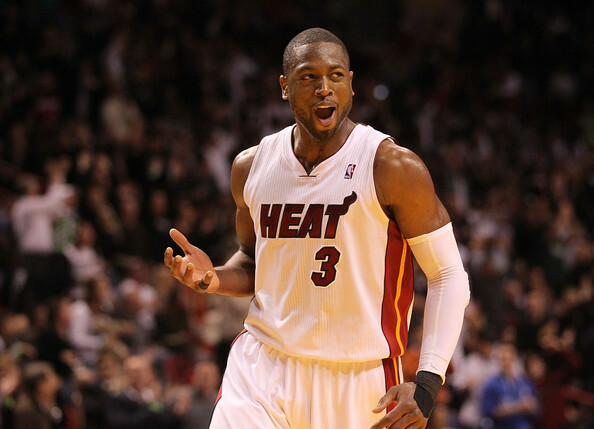 – Dwyane Wade: Wade is one of the best players of his generation. But that generation is on its way out. He’s old, and he’s breaking down. When he’s on the court, he’ll produce, but he won’t be on the court every night, and certainly not for 35 minutes. Wade opted out of his contract with Miami and is daring the Heat to pay him, which indicates that it’s all about the money for D-Wade this time around. Wade’s demands in both salary and years will likely be too high for him to make sense for the Knicks. Update: Wade has signed with the Heat. – Draymond Green: Draymond is also a restricted free agent, but he might switch teams anyway. He’s very good, but it’s debatable whether or not he is a max player, and if a team offers him a huge deal, Golden State might let him walk. Green is a terrific defender with a great motor, and he can shoot the three, but he isn’t very skilled offensively. Only 25 years old, he’d be a solid signing, but he probably stays put. 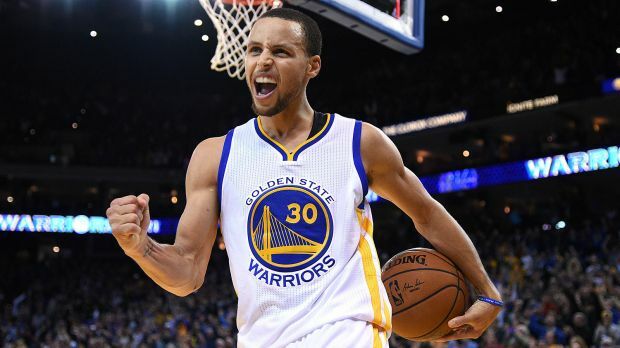 Update: Green has signed with the Warriors. – Greg Monroe: When all is said and done, there is a good chance that Monroe will be the headliner of Phil Jackson’s offseason. The Knicks are reportedly the favorites to sign the 25 year-old big man, with some even saying that it’s close to a “done deal.” Monroe is a skilled post player who will fit well in the Triangle, and is also a solid rebounder. 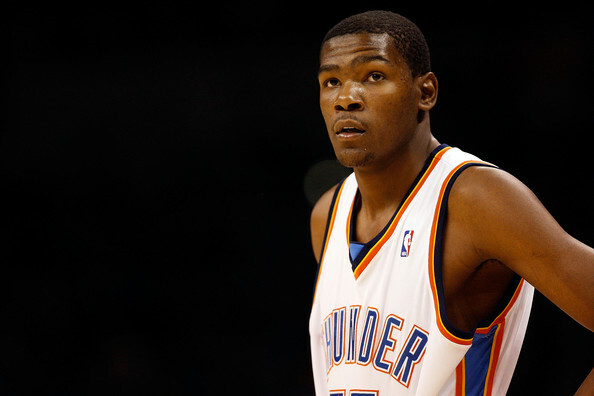 His defense has improved to the point of respectability, but he still is no more than decent on that end of the floor. 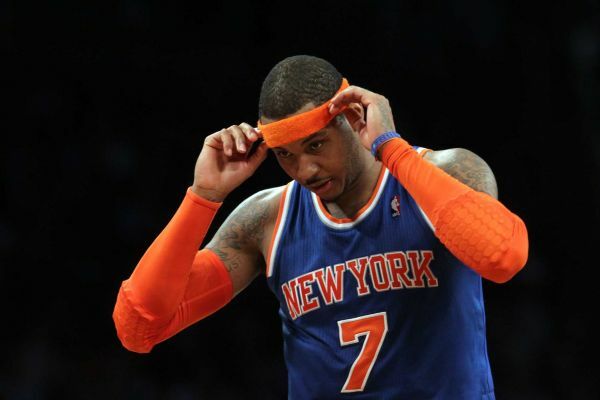 Considering Carmelo Anthony’s defensive indifference, Monroe isn’t the perfect acquisition. But he would still be a solid get for Phil, and he appears to be a very realistic target. 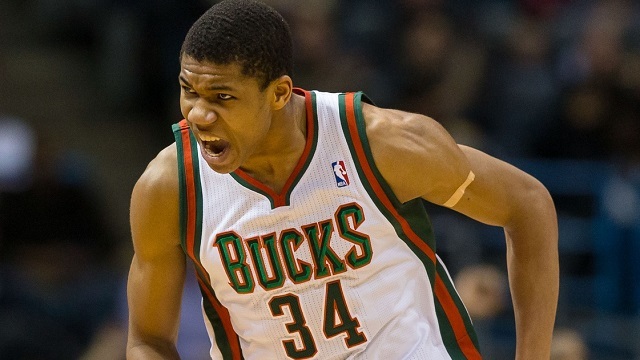 Update: Monroe has signed with the Bucks. – Paul Millsap: Millsap is a very solid player but he isn’t the kind of guy who can take over a game. He’s better served joining a team that’s missing a piece, not a team that needs to start over like the Knicks do. He’ll get a nice payday, certainly over $12M a year. Update: Millsap has signed with the Hawks. – Goran Dragic: Dragic will likely get a max offer from Miami, who can give him a better deal than anybody else. If he leaves, he will want a max offer from whoever he ends up with, so signing him would eat up most of the Knicks’ cap space. Would he be worth it? Maybe. It’s not a question the Knicks will likely have to answer— it’s unlikely Pat Riley lets him walk. Update: Dragic has signed with the Heat. – Brandon Knight: Knight is a restricted free agent, so whoever gets him will have to overpay him. But he’s young and he’s become a very solid player, so he might be worth the money— for a team that doesn’t need to add several pieces. The Knicks, however, are basically starting from scratch, so, like Millsap, Knight might not make sense. But if Knight is willing to sign for somewhere around $10M, the Knicks could make him their point guard of the future. Update: Knight has signed with the Suns. – DeMarre Carroll: Carroll is another “3 and D” guy looking at a nice payday. He could be a good fit for the Knicks if they miss out on some of their other targets. Look for him to get $10-12 million. Update: Carroll has signed with the Raptors. – Monta Ellis: Ellis probably isn’t the kind of guy the Knicks need right now. 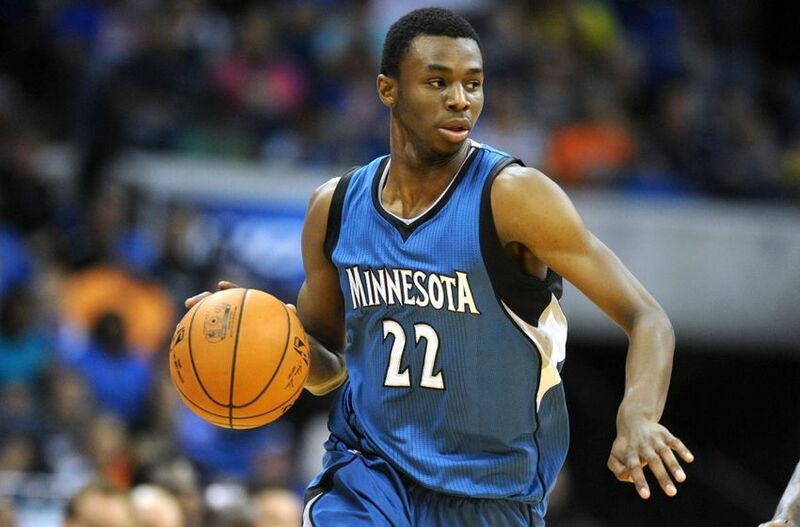 He isn’t too young, he’s not a great shooter, he’s not a plus defender, and he can get selfish at times. He’ll also probably get $10M a year. 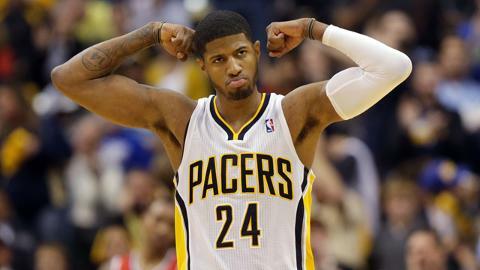 Update: Ellis has signed with the Pacers. – Tyson Chandler: Chandler might be a good fit, but his departure from NY a year ago didn’t seem too smooth. This won’t happen. Update: Chandler has signed with the Suns. – Omer Asik: Asik got overpaid on his last deal and might have to settle for around $6M this time around. 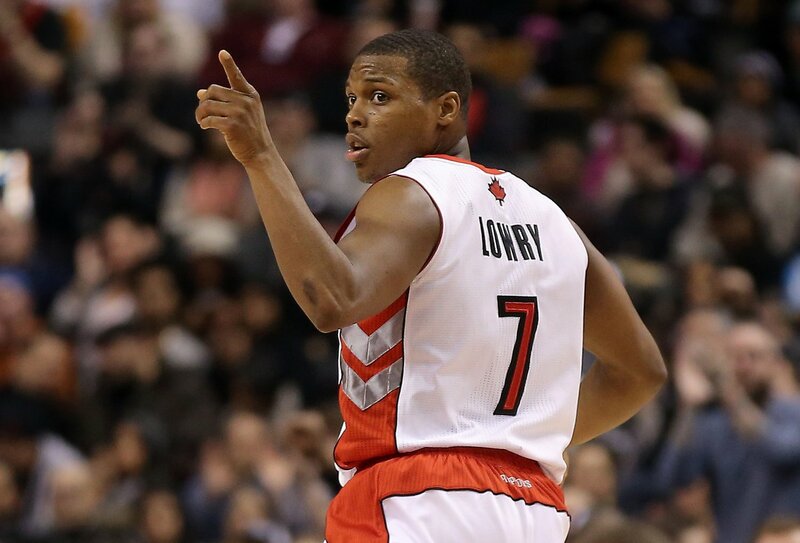 He can protect the rim, but he appears to have regressed recently. Update: Asik has signed with the Pelicans. – Jae Crowder: Crowder is a great defender, and if the Knicks could get him for $5M, it might pay off down the road. He’s restricted, though. Update: Crowder has signed with the Celtics. – Al Farouq Aminu: The Knicks will reportedly meet with Aminu, whose value lies nearly entirely in his defense. Update: Aminu has signed with the Trail Blazers. – Mike Dunleavy: This guy can shoot the lights out, and if the Knicks can get him cheap, they won’t have to watch him kill them every time he faces them. Update: Dunleavy has signed with the Bulls. – Shane Larkin: Lightning quick, but not very polished. The Knicks can pay him a maximum of $1.6 Million. 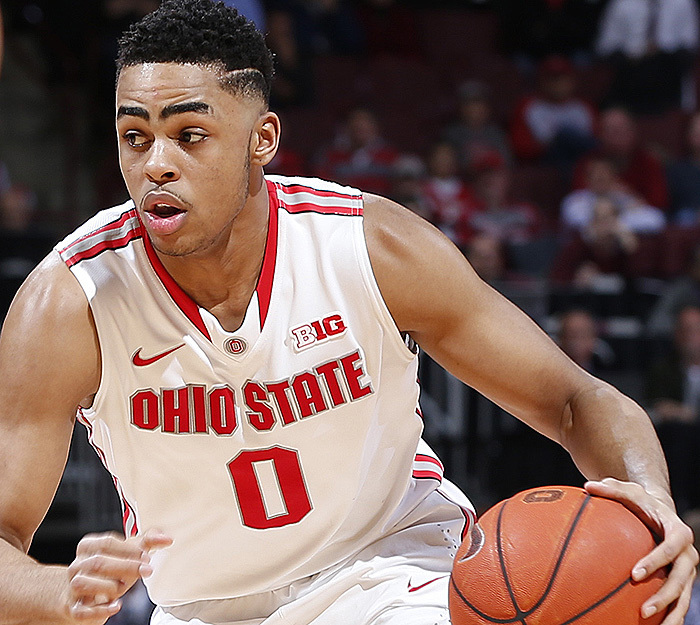 Update: Larkin has signed with the Nets. 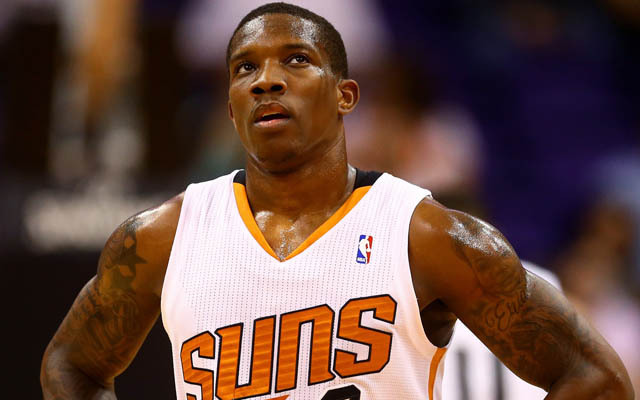 – Thomas Robinson: Robinson hasn’t fulfilled his potential, but his motor is elite. He could be worth a roster spot. Update: Robinson has signed with the Nets. The Knicks will end up with 15 players. Who will they be? It’s anyone’s guess. This entry was posted in Articles and tagged andrew bynum knicks, arron afflalo knicks, danny green knicks, dwyane wade knicks, greg monroe knicks, KNICKS, knicks cap space, knicks free agency, knicks free agents, KNICKS MEMES, lamarcus aldridge knicks, new york knicks, Tommy Rothman, tommy rothman knicks, wes matthews knicks on June 29, 2015 by Tommy Rothman. Strengths: Potential to be a dominant low-post scorer. Has the size, strength, and the moves. Very skilled. Decent out to mid-range but not beyond. Smart, unselfish. Weaknesses: Motor can be a concern. Doesn’t project as a top defender although he could be if he were committed. Not very quick. Should be a better rebounder. 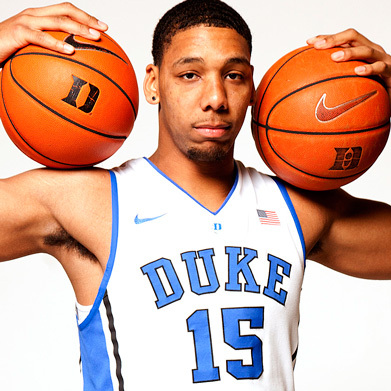 Why the Knicks would draft him: This is one of the guys Phil Jackson really wants. After the Knicks slipped in the lottery, he lamented the fact that they would probably end up having to take a guard or a wing, when they had planned on taking a big. Okafor and Karl Towns were those bigs. Okafor could provide the Knicks the franchise center they haven’t had since Patrick Ewing, and would add an entirely new dimension to the Melo-Centric offense. This is a guy the Knicks could build around. Strengths: Terrific scorer. Quick, coordinated, can get to the rim. Great shooter. Lefty. Good distributor. Weaknesses: Defense is fine but not great. Not a terrific finisher once he gets to the basket, could improve. Skinny. Why the Knicks would draft him: Russell is another guy who has a chance to be a true franchise player. This is a point guard’s league, and the Knicks will need a star at that position if they want to contend. Russell could be that guy. If he’s on the board, he’ll almost certainly be the most talented guy there. This would be a terrific pick for the Knicks. Chances he’s a Knick: 15% (80% if he’s on the board). Strengths: Phenomenal athlete. Big for a point guard. 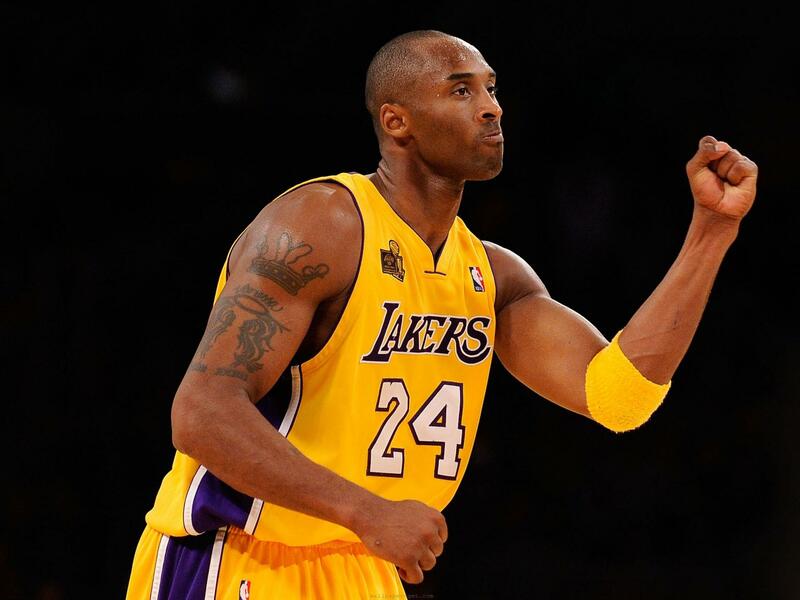 Can sneak or muscle his way to the basket. Good finisher. Good defender. Good rebounder. Good in transition. Weaknesses: Turnover prone in China. Mediocre shooter from the perimeter. Why the Knicks would draft him: Mudiay is likely to be the best player available when the Knicks make their pick, with Towns, Okafor, and Russell likely to go 1-2-3. 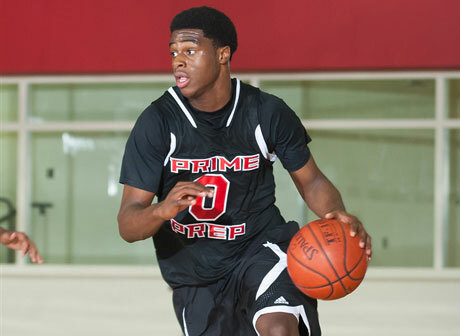 Mudiay has star upside at the crucial PG position, and would provide the Knicks a guy who could penetrate on offense and stay in front of the other team’s star guards on defense. If Phil Jackson stays at #4 and makes the right call, without overthinking himself, this is the likely pick. Why the Knicks won’t draft him: Again, the Triangle doesn’t place a lot of emphasis on the point guard, and there might not be room in the system for a PG who isn’t a good shooter (although shooting can be coached). Phil’s comments in the media make it sound like he’s not enamored with Mudiay, although that could be a smoke screen. Why the Knicks would draft him: Porzingis might have the biggest upside in the draft. He has the skills of a small forward and the height of a center. He might have the most upside in the draft. And he’ll probably be on the board. Porzingis might be a good Triangle fit— the system calls for versatility. Why the Knicks won’t draft him: Porzingis might also be the riskiest player in this draft. That star potential comes with a caveat: he’s expected to need a couple years before he’s ready to be a major contributor to an NBA team. Porzingis isn’t very strong, and would fit better in the Triangle if he were a post threat (which can be taught, but how long would that take?) Carmelo Anthony is 31, so the Knicks might not want to draft a guy who will make them wait. Of course, the Knicks might not have the option to take Porzingis, and they’re probably even hoping they don’t. The Sixers and Lakers have taken a look at him, as have teams who might trade up in front of New York (such as Orlando). Phil Jackson is probably hoping that a team ahead of him takes Porzingis and causes Okafor or Russell to drop… or overpays the Knicks to move up to #4 for the Latvian. Strengths: Terrific athlete. Terrific motor. Might be the best defender in the draft. Good rebounder, good footwork. Composed. Has 3-point range (but not consistency). Can get to the rim and finish. Weaknesses: Not one of the draft’s top scorers. Inconsistent with his jumper. Doesn’t shoot well off the dribble— mostly a catch-and-shoot threat. Short for a small forward. 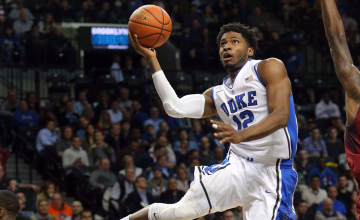 Why the Knicks would draft him: If their top targets are off the board, Winslow could be a good pick for the Knicks and will almost certainly be on the board. Carmelo Anthony isn’t going to be locking down the other team’s star forward— Winslow could be that guy. If he can improve his jumper and become a true offensive threat, he could be one of the best all-around players in the league some day. Chances he’s a Knick: 15% at #4, 5% if the Knicks trade down. The Breakdown: 7-1, 242 lb Center. Junior out of Kentucky. 7-3 wingspan, 21 years old. Strengths: Best defensive big man in the draft. Can guard multiple positions. Athletic, tough. Great shot-blocker. Quick for his size. Three years of college experience. 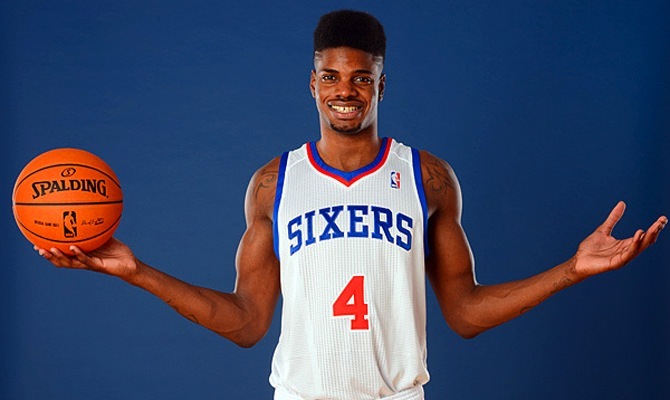 Weaknesses: Very small offensive-skill set— mostly just dunks and layups, in the Tyson Chandler mold. Motor isn’t an issue but isn’t as high as those of guys like Winslow. Should be a better rebounder. Could be stronger. Why the Knicks would draft him: Phil seems to like this guy, who could be the Knicks’ new Tyson Chandler (before Chandler quit on the team). This is a guy who can anchor a defense, and any offensive skills he develops would just be icing on the cake. 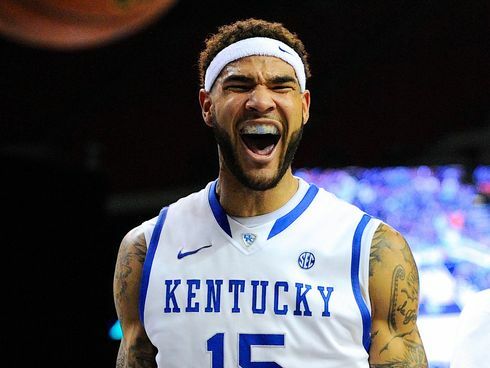 “Trill” Willie will definitely be on the board when the Knicks pick. He’s probably a reach at #4, but the Knicks could trade down a few spots and still get him— another plus. Why the Knicks won’t draft him: Again, he’s raw on offense, and the Knicks might be looking for scorers. 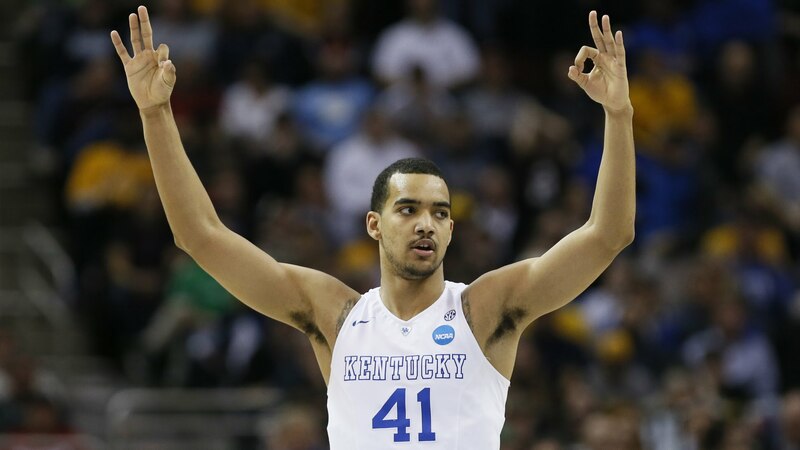 He’s a reach at four, so assuming the Knicks don’t want to take him there, they might not trade down for him, and if they do trade down, they might trade down too far and lose him to another team— unless they find a team offering a deal they like with a pick high enough that Phil is confident he could still draft WCS. Chances he’s a Knick: 5% at #4, 45% if the Knicks trade down. Strengths: Good offensive big man. Can score inside (but not a great post player) can shoot from mid-range and even from 3, can handle the ball, good passer, smart, coordinated. Weaknesses: Not a good defender. Not very strong, or fast. Why the Knicks would draft him: The Knicks have taken a look at Lyles at #4, but it seems unthinkable that they’d take him that high. Lyles is a more likely candidate if the team trades down, as he has great versatility on offense. Why the Knicks won’t draft him: Do the Knicks want another big man who doesn’t play good defense and isn’t strong enough to bang around in the post? They certainly shouldn’t at #4. If they can trade down, add more assets in a deal, and still land Lyles somewhere around #10, he might make sense. But he seems like a bit of a reach from a logical standpoint, although he is talented. Chances he’s a Knick: 0% at #4, 15% if the Knicks trade down. Strengths: Tall, skilled, can score from anywhere— has good moves in the post, great range. Can handle the ball. Dominant in college. Smart, composed. Weaknesses: Not very athletic. Not very strong. Tiny wingspan (less than his height), question mark defensively. Why the Knicks would draft him: The Knicks would only draft Kaminsky if they trade down, he is not a viable pick at #4 unless Phil wants to embarrass himself. Kaminsky should help the offense— if he’s a bust, he’ll at least be able to shoot over defenders, and he could be a big-time scorer if he pans out. 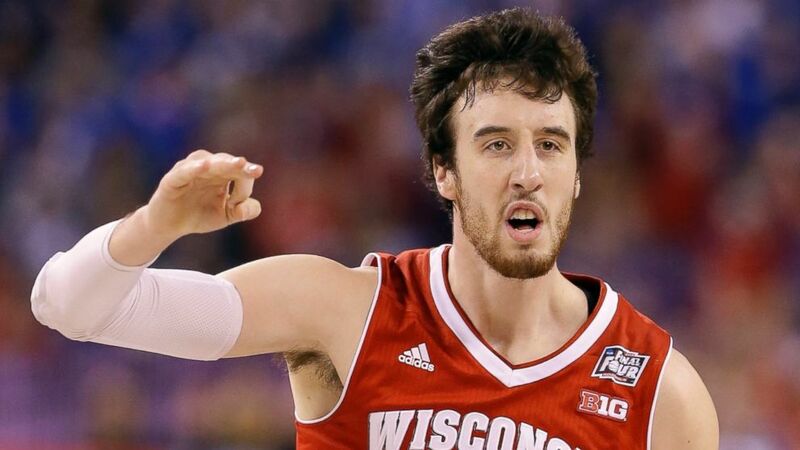 Frank The Tank could also be a good triangle fit, and Phil will find his 4 years of college experience appealing. Worth noting: Kaminsky isn’t projected to go in the top 10, so the Knicks could trade down pretty far if they want him, which would net them a bigger return. Why the Knicks won’t draft him: Every year there’s an elite college scorer who hasn’t fooled anybody into thinking he’ll be an NBA star— Jimmer Fredette, Tyler Hansbrough, Doug McDermott… Kaminsky is that guy this year. The Knicks should be looking to get a future face-of-the-franchise in this draft, and Kaminsky wouldn’t be consistent with that goal. Other: The Knicks almost certainly won’t take somebody other than the guys I have listed at #4, but if they trade down, there’s certainly some room for Phil to get creative. This entry was posted in Articles and tagged KNICKS, knicks draft, KNICKS MEMES, Knicks news, nba draft, Tommy Rothman, tommy rothman knicks on June 24, 2015 by Tommy Rothman. 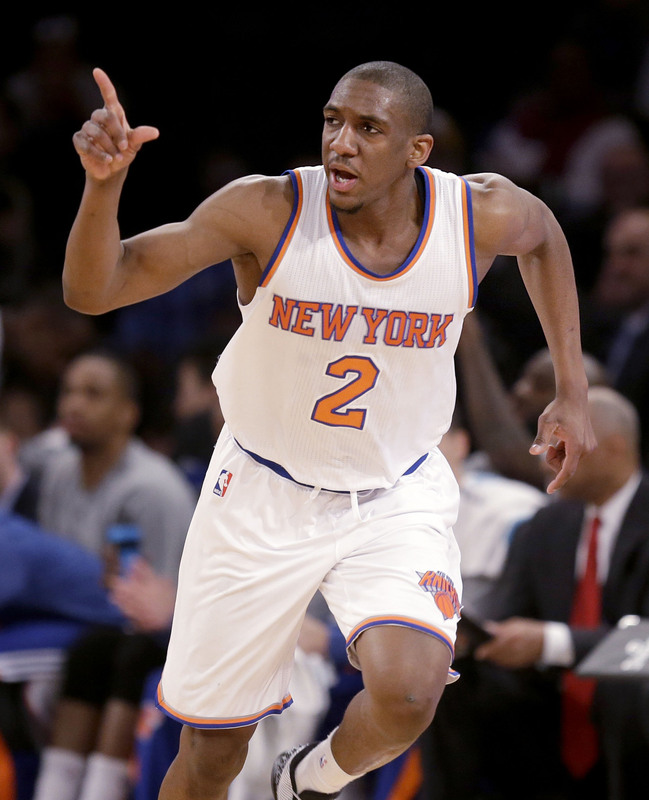 Knicks Guard Langston Galloway went from an undrafted nobody, to a player on a 10-day contract, to a member of the NBA All-Rookie Second Team. Galloway, who played with the Knicks in the Summer League and the preseason before being sent to the D-League to begin the year, was called up from Westchester midway through the season, and quickly established himself as a serviceable player at the NBA level. The St. Joe’s grad played 45 games and started 41 of them, averaging 12 points, 4 rebounds, 3 assists, and a steal in 32 minutes. Galloway signed a partially-guaranteed contract with the Knicks for next season after his second 10-day contract expired, so New York has the option to hold onto the 23 year-old for around $850,000. The Knicks entered last year’s draft with no picks, but put together a rookie crop that, between Galloway, Cleanthony Early, Thanasis Antetokounmpo, and Travis Wear, could pay dividends going forward. The Knicks will look to land one of the league’s top first-year players on Draft Night in June, and will soon find out where they will pick in the first round with the Draft Lottery set for tomorrow night. This entry was posted in Articles and tagged KNICKS, KNICKS MEMES, Knicks news, knicks rookies, langston galloway, langston galloway all rookie second team, langston galloway all rookie team, langston galloway contract, langston galloway knicks, nba all rookie team, Tommy Rothman, tommy rothman knicks on May 18, 2015 by Tommy Rothman. On Tuesday morning, I got a chance to interview Metta World Peace over the phone. 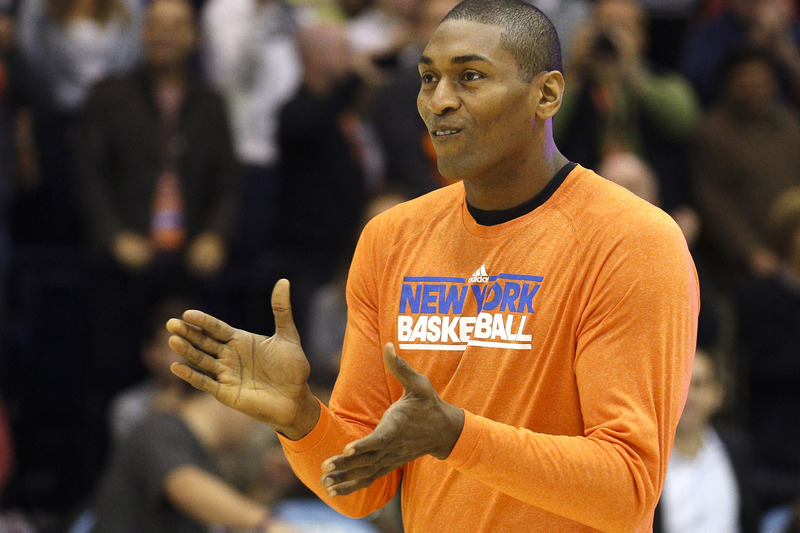 Metta, an NBA All-Star, Champion, and Defensive Player of the Year, had some great (and funny!) things to say. We talked about Pandas, name changes, Melo, the Knicks, teeth, China, shoes, Kobe, acting, wrestling bears, and more! Sit back, go ahead and give it a read, and enjoy! This entry was posted in Articles and tagged KNICKS, knicks blog, KNICKS MEMES, knicks memes interviews metta world peace, metta world peace, metta world peace funny, metta world peace knicks, metta world peace knicks memes, metta world peace name change, metta world peace panda, metta world peace panda shoes, metta world peace teeth, New York Knicks Memes, ron artest, the pandas friend, Tommy Rothman, tommy rothman knicks, tommy rothman knicks memes, tommy rothman metta world peace on February 10, 2015 by Tommy Rothman. The roof didn’t come off for Billy “Eugene” Faison during one of his four deployments to Iraq and Afghanistan, or at any other point during his 17 years (and counting) in the army. No, Billy’s lid popped on a cold December day in Indiana, as he watched the Knicks get absolutely decimated by a shorthanded Celtics team. That 41-point beatdown came on December 8, 2013, one year ago today. 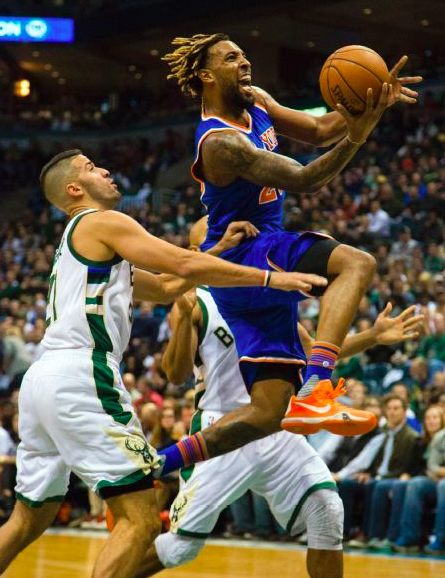 The game was a rout from the start, arguably the worst showing in a season full of lackluster efforts for the Knicks. Nearly all Knicks fans were upset… but very few got as angry as Billy, whose tirade (which you can watch below, although be advised of the NSFW language) quickly went viral. 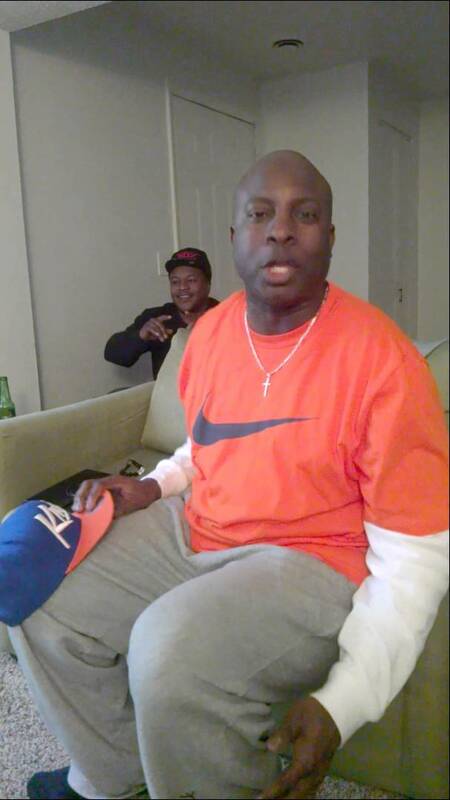 Chanci, Billy’s friend and the man who filmed the video, provides a priceless, calm, running commentary which serves as the backup vocals to Billy’s rage. “Basically it looks like the Knicks just go out there collecting a check,” said Billy, who cited JR Smith, Tim Hardaway Junior, and General Manager Steve Mills as the most frequent inducers of his wrath, while sparing the universally-admired Pablo Prigioni. So here we are on December 8, 2014. Billy wasn’t a one-hit wonder. He still posts his angry thoughts on his Youtube channel, Facebook page, and Twitter. While many view his work as pure comedy, he raises many fair points, and as we celebrate the one year anniversary of his explosion, it’s frustrating to see that the Knicks, at least in the standings, are in an even worse place than they were a year ago. 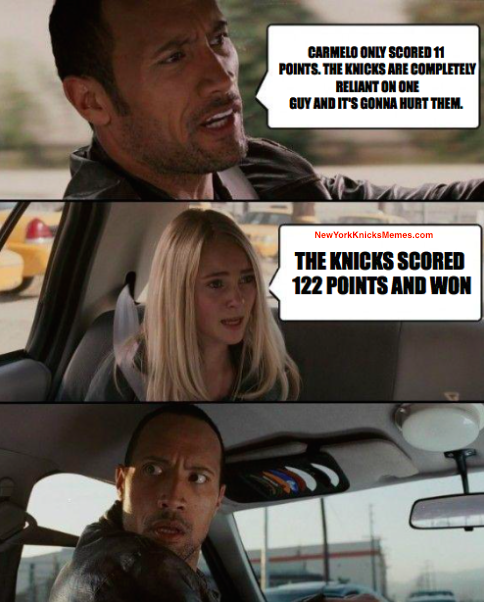 This entry was posted in Articles and tagged angry knicks fan, angry knicks fan person, angry knicks fan video, billy the angry knicks fan, KNICKS, knicks blog, knicks fan rant, knicks fans, knicks funny, KNICKS MEMES, knicks rant, New York Knicks Memes, Tommy Rothman on December 9, 2014 by Tommy Rothman.